Wow, what a week! It feels like I haven’t posted in forever! 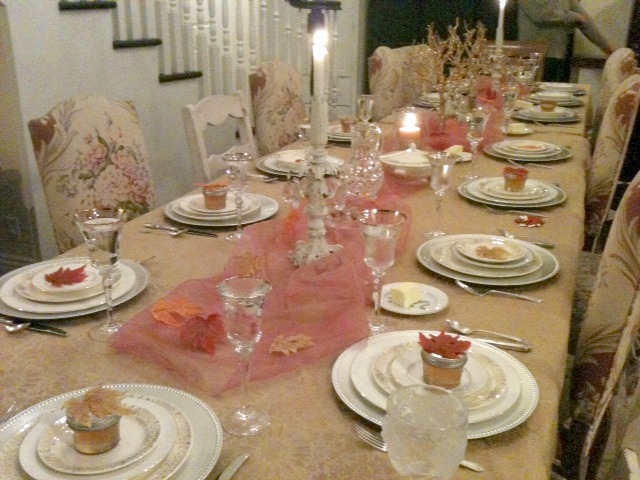 I hope you all had a fabulous Thanksgiving weekend with much love and family and/or friends. 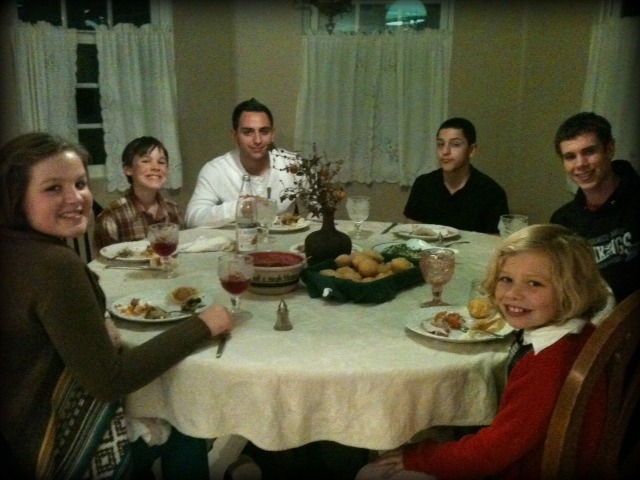 My Thanksgiving was wonderful…mostly, but I’ll get to that. I tried to spend all day Wednesday in the kitchen in the attempt to get everything pre-made as much as possible so all I would have to do Thursday is the turkey and gravy. Nice thought, but real life happened and I only got a few things done in advance. Thankfully, my sister-in-law, Kelly, and her family stayed with us and she was a HUGE help all day Thursday. We would have eaten on Friday if it wasn’t for Kelly. Thanks, Kelly! We chopped, we assembled, we baked, we washed dishes, repeat. We made delicious food, I must say. 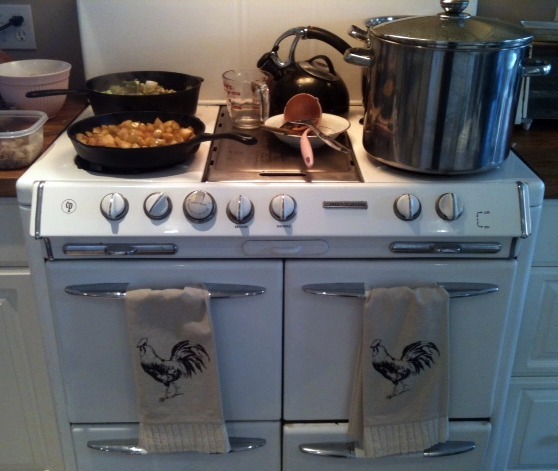 My little stove got some major action. 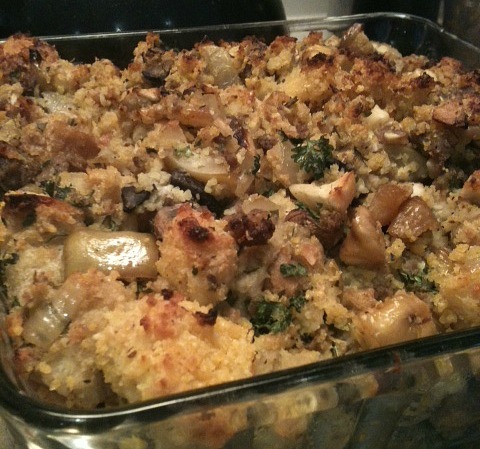 I was in charge of the stuffing, of which I made WAY too much! But, it was delish and I am still eating the leftovers. I made it with cornbread, sausage, roasted chestnuts (yes, I roasted chestnuts), mushrooms, and granny smith apples sautéed in white wine. Yum! I love digging through and finding all kinds of treasures. I’m weird like that. Then, much to my husband’s chagrin, I made brussels sprouts. 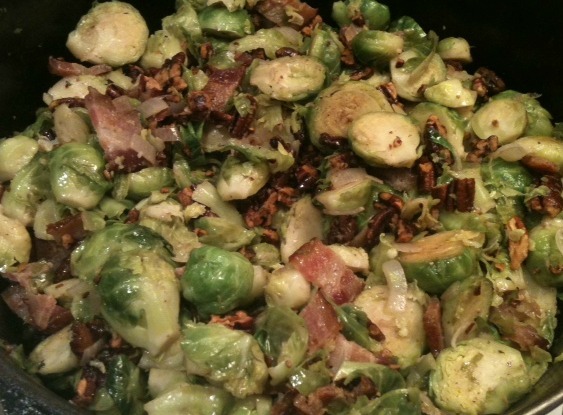 I think I converted a few brussels sprouts haters over to the dark side. All I can say is everything is better with bacon! Even my husband loved them. I wish I had a picture of our turkey! We got a 27 pound fresh, organic turkey from our store, of course, and it was the best turkey ever. We brined it in the morning and cooked it without stuffing for about 6 hours. It was a beaut! I also made a pumpkin goat cheese cheesecake that was absolutely sinful. I made it for my mother-in-law, Patti, who was turning 70 on Saturday. All of her sons were there to sing Happy Birthday to her. Happy Birthday, Patti! I really wish I had a better camera so I could capture how pretty the table looked, but you’ll have to just use your imagination. I think it turned-out quite lovely. We gave each couple a small jar of local raw honey to take home with them since most everyone was visiting from out-of-town. My new antique dishes mixed beautifully with my china, thanks to my lovely daughter. Thanks lovely daughter! 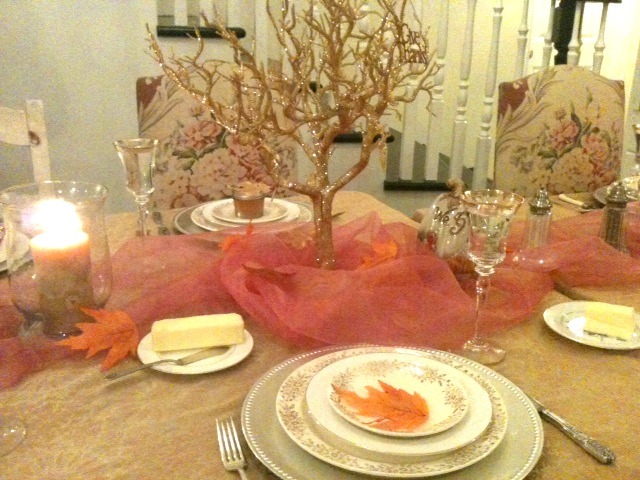 I think the coolest part of the table was the thankful tree. We placed bowls with little paper leaves in them on each table and asked people to write what they are thankful for and hang it on the tree. That was our centerpiece. Here is the undecorated tree. Did I mention I love sparkles? 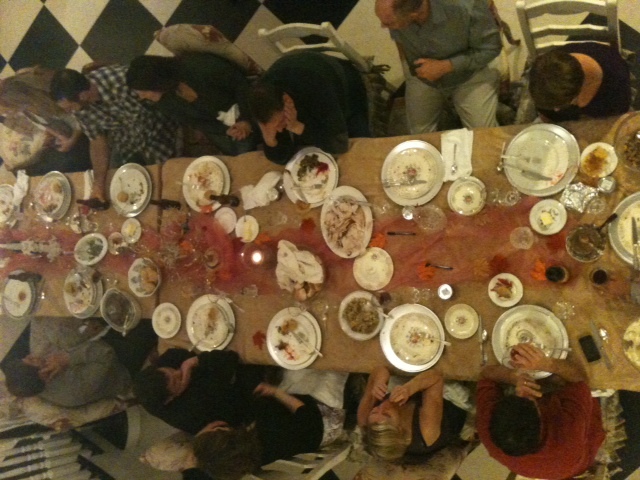 Here’s a view of part of the table from upstairs. Don’t look at it too long or you’ll get dizzy, or maybe it’s just me. 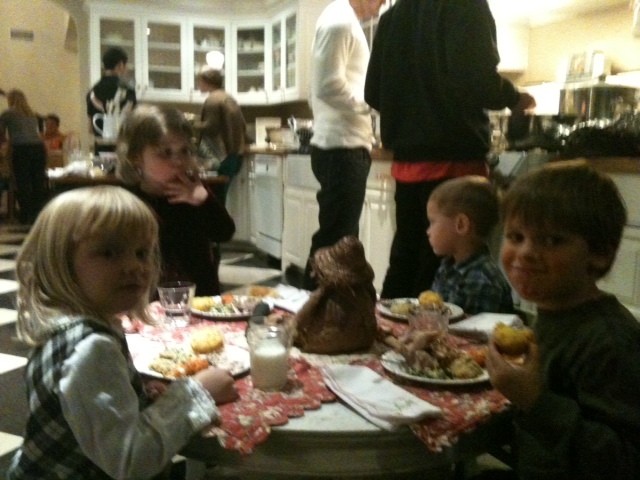 Here’s a peak at the kid’s table. I ate something funky that didn’t agree with me. I know what it is, but I’m not going to say. I will say that it had oysters in it and cayenne pepper; not a good combo for my tummy, apparently. One minute I was washing dishes and the next minute I was lying on my bed unable to get up. Such a bummer! Not only did I miss the big family picture, but I missed dessert! Thankfully, the ladies all pitched-in and finished the dishes (all 3000 of them) before they left. What a blessing! 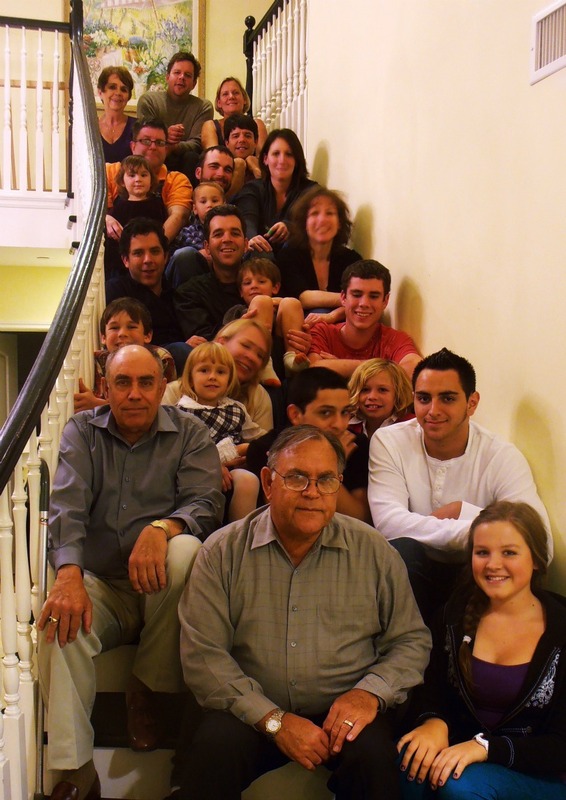 Happy Thanksgiving from the Bradley Bunch!